In Derna, heavy clashes occurred between Ansar al-Sharia and Abu Salim Martyrs’ Brigade, including two car bombs and various assassination attempts. An Ansar al-Sharia leader in Derna and a senior police officer in Benghazi were assassinated. The fall of Mosul, Iraq risks boosting morale and aggressiveness of extremists in Libya. Prominent militia critic and civil society activist, Salwa Bughagis, was killed after casting her vote in the parliamentary election, demonstrating the escalation of violence in Libya. Violence has continued, especially in Benghazi where General Khalifa Haftar is still battling it out against Islamist militants. Meanwhile, Tripoli and its environs have been witness to an increase in kidnappings and violence, with three Europeans being abducted this week from Zuwara. Insecurity has also persisted to the west of the capital with competing militias clashing. The effects of ISIS leader Abu Bakr Al-Baghdadi’s declaration of an Islamic caliphate in Iraq are already being felt in Libya. The leader of the Abu Mahjan Al-Ta’ifi Brigade, which refers to itself as ‘Al-Qa’ida in Libya’, has openly declared the group’s support for Baghdadi and sent 50 men, including fighters, doctors, and engineers, to Iraq to support ISIS. While some groups expressed their support for Abu Bakr Al-Baghdadi, ISIS in Libya did not exist yet. However, the growing conflict between the Misratans and Zintanis has further amplified divisions between groups fighting across the country. While some groups have expressed their support for Abu Bakr Al-Baghdadi, ISIS in Libya did not exist yet. However, the continued conflict between the Misratans and Zintanis has further amplified divisions between groups fighting across the country. 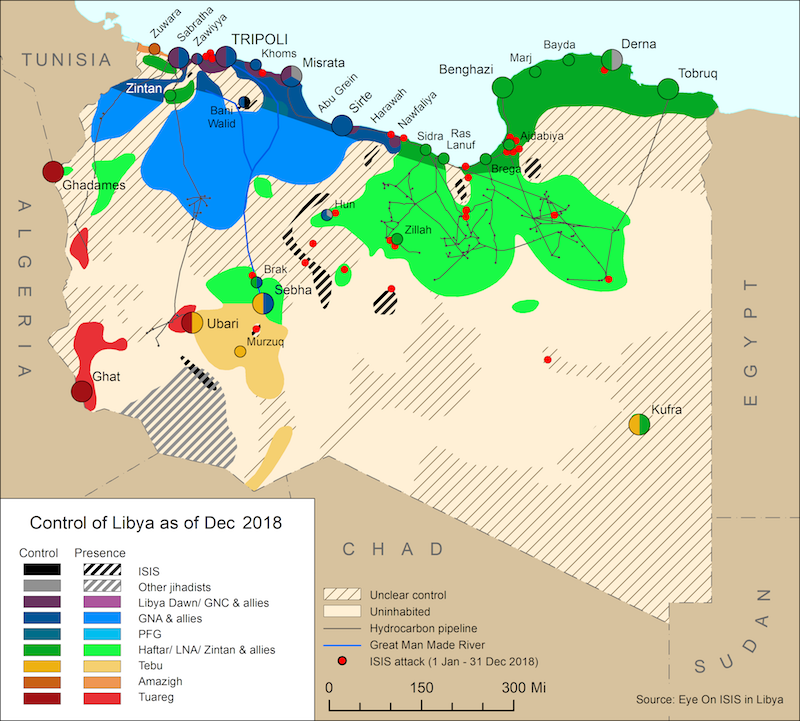 Although ISIS did not formally exist in Libya, the forces of Operation Libya Dawn, the umbrella group comprising brigades from Misrata and other allied Islamist brigades in the West, were continuing to consolidate their control of the capital. 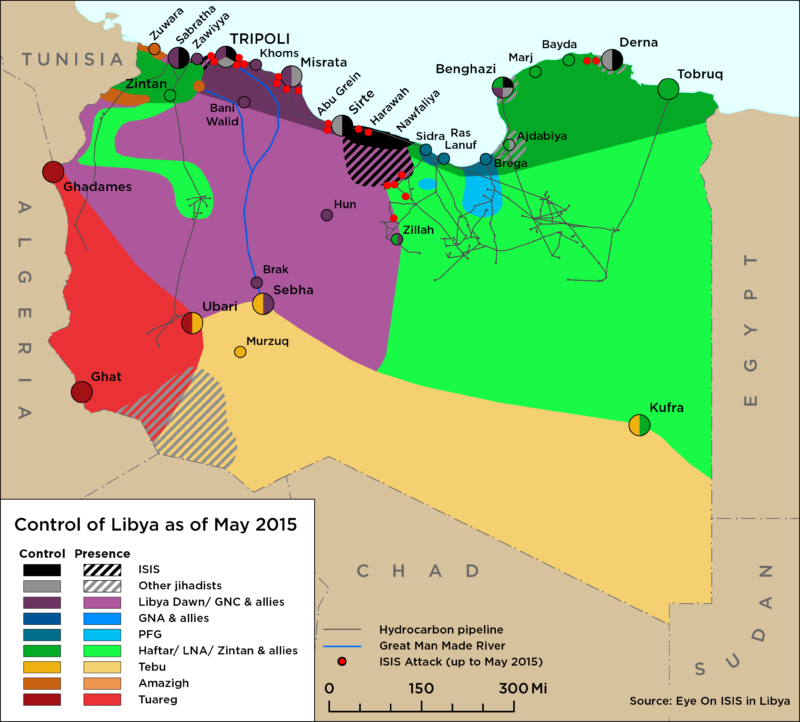 While some groups expressed their support for Abu Bakr Al-Baghdadi, ISIS in Libya did not exist yet.